Cold Starting Issue? Look Here! Hello all! Last winter (my first winter with my D21) I found that I had an issue as the temps began to drop. Below freezing the truck would be hard to start. As it got colder this got a lot worse. It go so bad at one point I couldn't get my truck started. Being that fall is here it is getting colder again so I was having the issue again and refused to let this happen all over again. Rough idle/stalling at these same temps. Having to give it a little gas until your idle evens out. Truck starts and runs fine after warming up. ...and a couple other things I may be forgetting! So, what fixed my issue? Read below! THE FIX TO END ALL FIXES IN COLD WEATHER STARTS! Three words: Fast Idle Solenoid. Now before you go "I already checked mine, it works" keep reading. I thought mine was working fine and technically it is. I didn't have to replace anything. 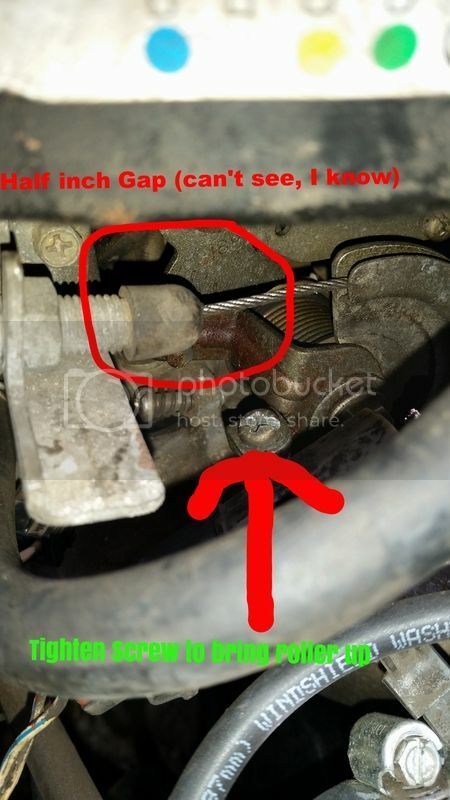 It turns out that I had about a half inch gap between my throttle roller and the little plate that is marked with notches that is attached to my fast idle solenoid. What this means, is that even when the solenoid was rolled over for cold weather, it was never touching the throttle roller meaning it was never opening the throttle for cold weather, as it is suppose to do! For Detailed Information on your Fast Idle Solenoid see this awesome thread! Last edited by nbarr7655; 10-17-2015 at 03:39 AM. Does engine/ambient air temperature make any difference when adjusting this? I mean if it's cold out when I do this do you think it will it run funky when it warms back up? Definitely going to check this out very soon, thanks! Hope it works Be sure to make the adjustment when the engine is warmed up. Adjust it just until it starts to touch the plate. How did this turn into headlights? Agreed. Google magic or create a different thread, my man.